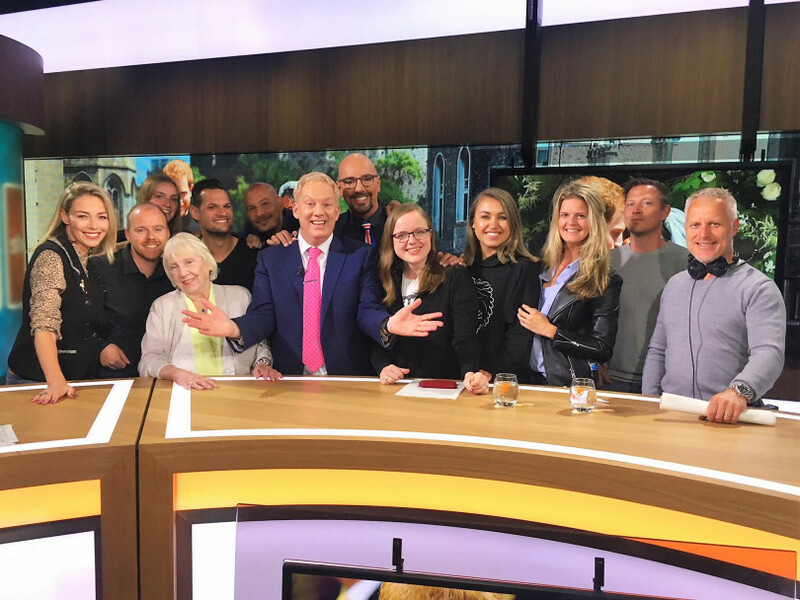 It was the highest-rating royal wedding TV celebration in Holland, with an audience of nearly a million watching SBS Shownieuws. I was lucky enough to be a guest on the show as we celebrated the recent marriage of HRH Prince Harry and Miss Meghan Markle – it proves just how popular the British royal family are worldwide, and how many supporters they have in the Netherlands. A huge thank you to the whole team for making me so very welcome. Still Open All Hours starring Sir David Jason will return to BBC One for a fifth series later in 2018. The recommission means that the sequel has now accumulated more episodes, and more series, than the original hit show. While in London recently I spotted the Duchess of York, Sarah Ferguson, at the exclusive Connaught Hotel taking afternoon tea with her daughters. My spies also tell me that they would very much like to invite the Duchess on to this year’s Strictly Come Dancing ... could that be what the meeting was about? I’ll keep you posted. Former Doctor Who co-stars David Tennant and Catherine Tate are set to be reunited in a new TV comedy. Tate is also writing the show, Americons, about a couple who move to America. According to showbusiness industry insiders, the show is “in the advanced stages of development for Sky One”. Judy Finnigan has ended her TV career, according to a friend of the presenter. Judy is best known for being one half of a TV duo with husband Richard Madeley, with whom she hosted ITV’s flagship daytime programme This Morning from 1988 until 2001. After her TV work Judy has enjoyed success as an author and may be looking at TV drama writing too. ITV has recommissioned drama series The Durrells for a fourth series, it has been announced. The programme is based on conservationist and author Gerald Durrell’s trilogy of books about his family’s time on Corfu during the 1930s. ITV confirmed that the new series of The Durrells will be filmed on the Greek island. Tom Bradby has been missing from ITV’s flagship bulletin News At Ten for more than a month without explanation, sparking concern among the four million people who tune in each night. Now I can reveal the reason for his absence – a chronic bout of insomnia. A source tells me: “It’s been a tough battle, but we hope to have him back soon.” Should it be called ‘Snooze At Ten’ then?